This week we're taking a break from the alphabetical archaeology theme to highlight efforts by one local high school to take archaeology out of the classroom and into the field for some hands on experience. This Thursday and Friday, staff from the Section of Archaeology at the State Musuem of Pennsylvania assisted with a simulated forensic investigation being conducted by Mary Pat Evans, a science teacher at Susquehanna High School. This program offers Ms. Evans' students an opportunity to learn proper archaeological survey, excavation, and recording techniques that would be required for scientific evalutation of an archaeological or forensic site. The open excavation is 100 square meters in size, in an area of the athletic field just outside the high school building.The site, dubbed 36Da231, has been planted with artifacts such as animal bone, car parts, cell phone fragments, personal objects, and several bullet casings to simulate a crime scene. Approximately 100 high school 11th and 12th grade students worked together to establish an alpha numberic grid of 1x1 meter squares across the excavation site, and then selected units to excavate based on any artifacts visible on the ground surface. Working in teams of two and three students, surface artifacts were mapped and placed in bags with the appropriate provienience information, and hand excavation of level one began using mason trowels. Soils were then collected in five gallon buckets and screened through 1/4" hardwear mesh to recover smaller artifacts initially missed during excavation. Back in the classroom, Ms. Evans will have her students compile all their mapped artifacts to see if any spacial patterns are present that may yield clues about the events that took place at the "crime scene". Unfortunately, the recent stormy weather had left the site fairly waterlogged, but the students made the best of the situation, braved the very muddy conditions, and now have first hand knowledge that archaeology can be a dirty job indeed. Thanks to all the students for their hard work, and good questions, and a very special thank you goes to Mary Pat for inviting us to take part in her "groundbreaking" program teaching high school students about the methods of archaeology. It’s been a topsy-turvy week here at TWIPA, and if any of our readers are in the Harrisburg area they know what we’re talking about. After an abbreviated Monday, a cancelled Tuesday, a late start and an early dismissal on Wednesday (all due to the city’s water woes), we’re anxious to get back in the saddle and return to a schedule that bares some semblance of structure and order, that, after a few days off, we find ourselves oddly in need of. So as we continue our alphabetical journey through all that is archaeological, we arrive this week at the letter “G”. Rather than “G” being for,”Gee, I wonder if the Capitol Complex will be open tomorrow.” it can instead represent ground stone objects. A number of this type of artifact have been featured in previous posts such as; grooved and multi-grooved stones, a cache of celts from the City Island site, adzes used to construct a replica dugout canoe, and chunky stones or discoidal artifacts. All of these posts include excellent examples of ground stone artifacts, and have been linked here for your convenience for you to peruse at your leisure. 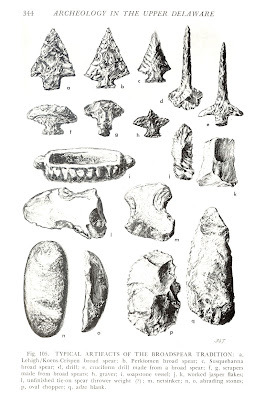 While not an exhaustive list, it does go far in illustrating the wide range of artifacts typically referred to as ground stone. The essential difference between ground stone tools and their counterpart (chipped stone tools) is in their style of manufacture. Ground stone tools are shaped by pecking, grinding, and finally, polishing the surface to achieve the desired form. This method is in stark contrast to chipped stone tools, which are, as the name suggests, chipped, or flaked, into shape through concoidal fracturing. To muddy the waters a bit, there are some artifacts that display characteristics of both methods, for example a chipped stone projectile point with a smooth base from basal grinding, or an unfinished axe blade exhibiting large flakes removed during initial rough shaping prior to the intensive process of pecking and grinding. 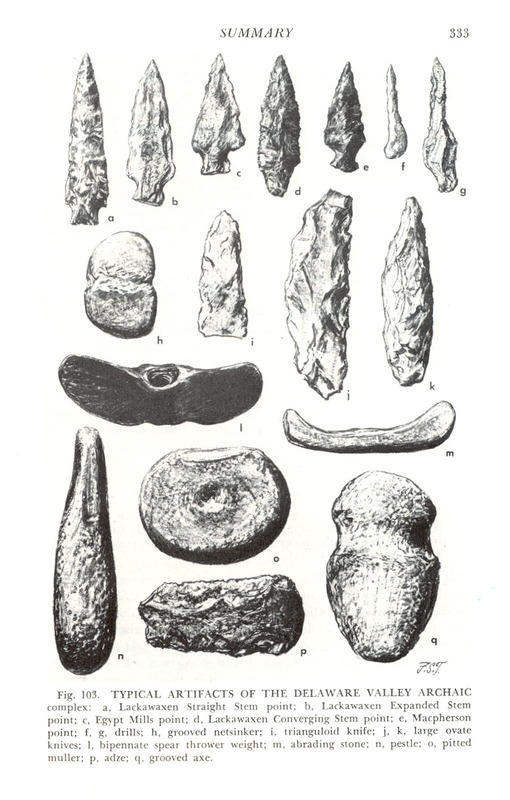 In these examples, it can be comfortably argued that the majority of the labor expended in each technique to produce the finished tool, would place the projectile point in the chipped stone category, and the axe as a ground stone object. We’d be remiss however if we did not note that the letter “G” and archaeology have much more in common than just gorgets and grinding stones. Emphasizing that archaeology is an ever increasingly multidisciplinary endeavor, ”G” can also stand for; geography, geology, geomorphology, genetics, global positioning systems (GPS), geographic information systems (GIS), and ground penetrating radar (GPR). These fields of study and survey techniques (and many others that don’t happen to begin with the letter G) can all play an important role in enhancing our understanding and interpretation of archaeological sites in the 21st century. This week our focus will be on fire-cracked rock. Over the past two years of blogs we have frequently used the term fire-cracked rock and have described it at varying degrees of detail. We thought this week we could explain how fire-cracked rock is made and how its presence is an indicator of human activity on archaeological sites. Fire-cracked rock is often associated with the Transitional Period which occurred about 3,000 - 4,000 years ago in Pennsylvania. Climatic changes which are thought to have occurred during this period led to a warmer, drier period which allowed for hunter-gatherers of the late Archaic (4200-6000 BP) period to become more sedentary and to occupy sites closer to rivers and streams for longer periods of time. Many of the Transitional period sites contain extensive scatters of fire-cracked rock, that is, rock that has been exposed to extreme heat, causing it to break into angular pieces. Some of this is the result of normal cooking, as rock was often used in fire pits to radiate heat for roasting meat and other foods. Also, heated rocks were thrown into holes in the ground, lined with hide and filled with water, as a method for boiling foods. The large accumulation of fire-cracked rock on Transitional Period sites suggests that food was being cooked for large groups, and possibly during relatively long periods of site occupation. Simply stated fire-cracked rocks are rock that are cracked or broken due to their use in either the boiling or roasting of foods. Fire-cracked rock in alignment for mending, note the sharp angular breaks. 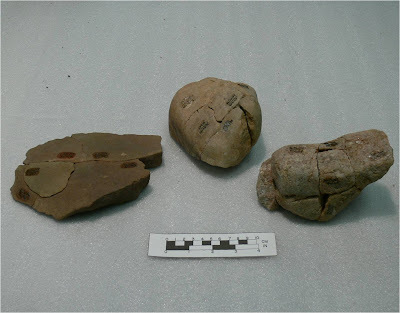 These fire-cracked rock have been refitted to allow for analysis of the distribution of the FCR across the archaeological site on which they were found. Research conducted on these large fire-cracked rock features have provided archaeologists with comparative data allowing for analysis of the function of these features. At the Kettle Creek East site (36Cn199) a series of seventeen features were examined and radiocarbon samples were obtained on ten of the seventeen features. Nutshells of hickory, hazelnut and walnut as well as calcined (heavily burned) bone fragments were sampled for the resulting radiocarbon dates. Assays from these samples produced evidence of two occupation episodes ca. 3400 BP and ca 3050 BP, placing both of these in the Transitional period. On the left is a wide, flat bottomed basin roasting pit. On the right, is a shallow basin hearth. Functional interpretations of these seventeen features based on previous research by archaeologists provided a comparative model for identifying the function of these fire-cracked rock features. 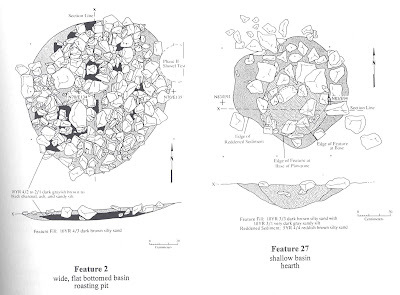 Most of the features were identified as hearths, some smaller hearths did not contain fire-cracked rock, larger hearths were classified based on their shallow basin shapes with an abundance of charcoal and the size of the fire-cracked rock fragments, two of the remaining features contained rock that were more angular- suggesting a repeated heating and rapid cooling associated with stone boiling. The video link at http://www.youtube.com/watch?v=RrlQwCxfvuU clearly demonstrates this process. Petraglia, Michael, Dennis Knepper, and John Rissetto. "The Nature of Prehistoric Activities on Kettle Creek, An Upland Tributary of the West Branch of the Susquehanna." Journal of Middle Atlantic Archaeology 14 (1998): 13-38. Well we made it, spring is finally upon us! To many of us spring brings thoughts of birds, new tree buds and dare I say it… warmer weather. To those of us in the Mid-Atlantic’s archaeological community the beginning of April also means it must be time for the annual Society for Pennsylvania Archaeology (SPA) Meeting. This weekend (April 8 – 10) marks the 82nd annual meeting and will be hosted by the John Shrader Chapter #21 in Morgantown, PA. The theme for this year is, From Wilderness to Metropolis: Archaeology of Pennsylvania’s Woodlands, Farms and Cities. This year’s presentations promise to be as informative as ever. Sessions begin each day at 9:00 AM and include: The Archaic in Southeastern Pennsylvania, Before and Below I-95: Ongoing Archaeological Investigations in Philadelphia and Archaeology of Southeastern Pennsylvania’s Woodlands, Farms and Cities. There will be two concurrent sessions Sunday morning; Session A: Precontact Period Investigations and Session B: Post Contact Period Investigations. Our own Janet Johnson will be presenting a paper on New Deal Historical Archaeology during Sunday morning’s Session B. As always there will be a banquet Saturday night starting at 6:00 PM, the Guest Speaker will be Dr. Dean Snow, professor of Anthropology at Penn State and former President of the Society for American Anthropology. He will be discussing Big Ideas in American Archaeology: How Pennsylvania Can Contribute. More fun ensues following the banquet with the distribution of annual awards and the live auction. The Society for Pennsylvania Archaeology, Inc. was organized in 1929 to: Promote the study of the prehistoric and historic archaeological resources of Pennsylvania and neighboring states; Encourage scientific research and discourage exploration which is unscientific or irresponsible in intent or practice; Promote the conservation of archaeological sites, artifacts, and information; Encourage the establishment and maintenance of sources of archaeological information such as museums, societies, and educational programs; Promote the dissemination of archaeology by means of publications and forums; Foster the exchange of information between the professional and the avocational archaeologists. 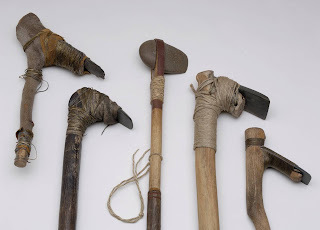 E is for Egyptologist, English gun flint and experimental archaeology (which we have discussed several times in the past). But this week’s “E” is for evolution. – a concept that is central to all archaeological research. The word evolution simply means change through time. The change is not necessarily good or bad, positive or negative. Biological evolution is defined as change in a population’s gene pool over time. Archaeologists focus on cultural evolution but we have borrowed many concepts from the biologists. Archaeologists ask: Why does culture change? How does it change and can we predict how and when significant changes will occur? 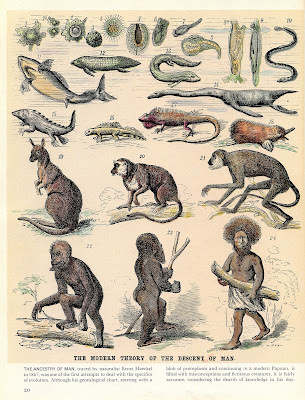 In this week’s blog, we would like to briefly review the parallels between biological and cultural evolution that archaeologists use to describe and analyze the evolution of prehistoric cultures. 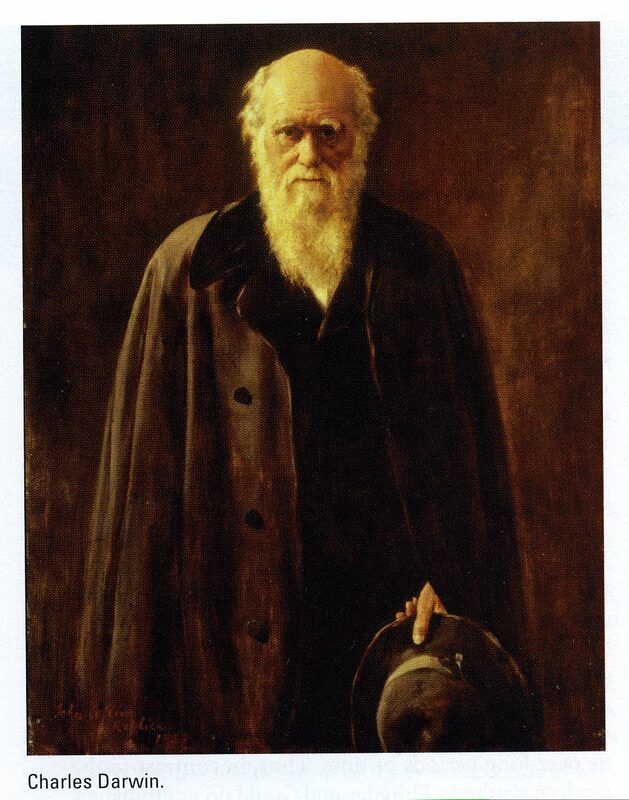 In the 19th century, anthropologists, lead by Sir Edward Burnett Tylor and Lewis Henry Morgan assumed that cultural evolution was driven by an innate force towards progress; it was goal oriented and the human condition was constantly improving. From the perspective of the middle and upper class of western society, life had definitely improved over previous times. However, this was not true for the lower working class or the non-western societies who were being exploited for their natural resources and cheap labor. Anthropologists (but mostly sociologists) during the late 19th and early 20th century were impressed with the systematic logic of Darwinian evolution and used terms such as exploitation, competition and survival of the fittest (a phrase coined by Herbert Spencer, not Charles Darwin) to justify the abuse of other people and cultures. In hind sight we call this social Darwinism. By the 1950s, biologists had discovered the nature of genes and had developed a new understanding of biological evolution (called the “New Synthesis). Populations of animals and plants contain an incredible variety of traits. The total of these traits within a population is called the gene pool. The combination of these traits represents the adaptation of the population. (Adaptation can be defined as a characteristic of a population selected by the environment that by its existence improves the chances of survival and also allows for exploitation of the environment (Jurmain et al. 2008). Variety within the gene pool is affected (frequently increased) by gene flow (e.g. from other populations), mutations (e.g. creating new genetic material) and random genetic drift (e.g. chance changes in the gene pool frequently due to accidents). The driving force in biological evolution is natural selection. Nature selects the most advantageous combinations of traits within individuals for survival. Natural selection operates on individuals but evolution occurs in populations. 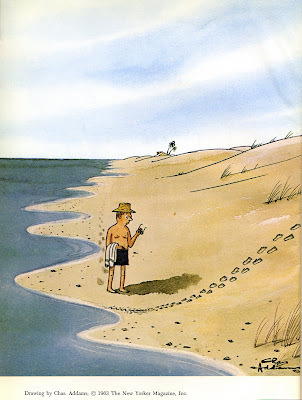 As the environment (in all of its aspects) changes, for example, from warm to cold or predators become faster or more intelligent, the selective factors change and the adaptation evolves. In the 1960s, archaeologists were influenced by cultural ecology and began to examine prehistoric cultures from an ecological perspective – as part of the environmental system. Using an elaboration on a definition for culture developed by Leslie White in 1959, Lewis Binford defined “Culture is an extra-somatic adaptive strategy that is employed in the integration of a society with its environment and with other cultural systems” (Lewis Binford 1965:205). Archaeologists of the 1960s viewed culture as an adaptive system and they focused on the processes that affected this system. Technology, subsistence, demography and ecology are major factors in the adaptive system and accessible in the archaeological record. This was the beginning of processual archaeology that continues to dominate (with some modifications) the profession today. Archaeologists now describe cultural evolution as changes in the adaptive strategy or changes in the adaptive system. Changes in culture are described as responses to the natural and cultural environment. Artifacts, features, community patterns and settlement patterns are the traits of a prehistoric culture. They are the material remains of the adaptive strategy. The development and evolution of this strategy is driven by natural selection. Those cultures that can extract sufficient calories from the environment, educate the next generation and reproduce sufficient offspring will be successful (or selected). When Darwinian concepts are applied to human culture in this manner it works well with hunting and gathering societies. Their adaptive strategy is more clearly related to the natural environment. Certainly, their social organization (how they were organized into groups), the relationship between males and females; and their belief system were essential factors of their adaptive strategy. However, these are frequently difficult to identify in the archaeological record. And the processual archaeologists do not feel they are the most significant catalysts for change. As an example, much of the Archaic period in Pennsylvania can be explained as a transition from a Pleistocene environment followed by a slow intensification of the adaptation (adding a variety of plant processing tools) due to an increasing human population. For the most part, it was a technological response to a changing cultural environment. However, by the Transitional period, characterized by broadspears, steatite bowls, large cooking hearths and extensive trade, it would appear that the adaptive strategy becomes more complex and it included increased inter-group social cohesion or communication. The nature of the adaptive strategy changed during the Transitional period from one emphasizing a technological response to an adaptive strategy emphasizing a significant social component. During the subsequent Woodland period, there is a change in the focus of the subsistence pattern toward the domestication of plant foods and the social component becomes even more significant. The use of biological concepts to explain cultural evolution is a useful conceptual model and one easily applied to the prehistoric archaeology of the Middle Atlantic region. Unfortunately, we know that the analogy with biological evolution has a flaw. 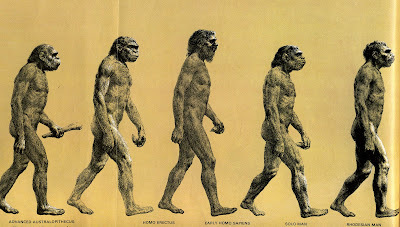 Biological evolution emphasizes populations and impersonal processes such as gene flow, mutation and random genetic drift. Echoing a critique from the 1980s “Where are the people behind these proesses?” Cultural change can also be influenced by individuals. Simply look at the influence of charismatic leaders during the 20th century for the affect of single individuals on cultural evolution. This is the critique of the post-processual archaeologists and maybe we can cover this topic when we get to the letter “P”. Binford, Lewis. R. 1965 Archaeological Systematics and the Study of Cultural Process, American Antiquity, 31(2 Part 1): 203-210.